If you follow me on instagram you’ll know I make my cookie dough balls and double chocolate energy balls A LOT! I’m so glad that loads of you have been loving them too but I wanted to come up with a nut free version so that anyone with allergies can try them. 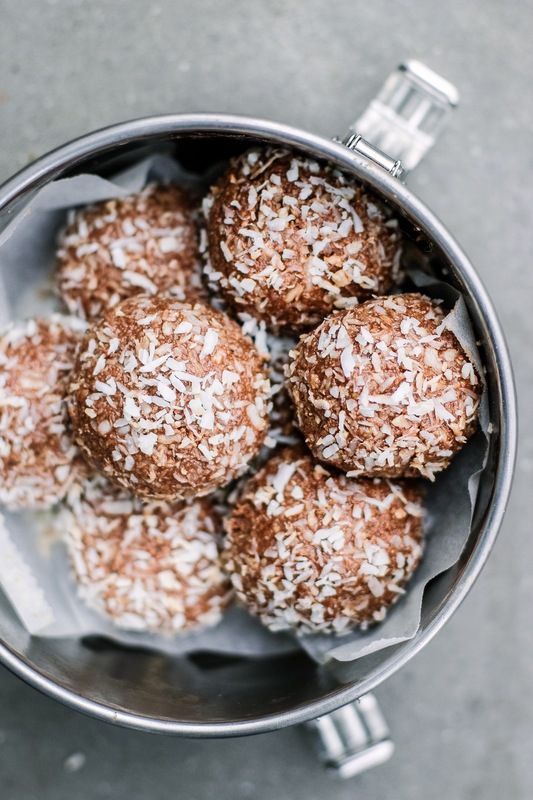 These nut free chocolate energy balls are so delicious and easy and perfect for anyone who can’t have nuts. Preheat the oven to 180’C. Spread the sunflower seeds and oats out on a baking tray and roast for about 12 minutes, tossing in the middle, until toasted. 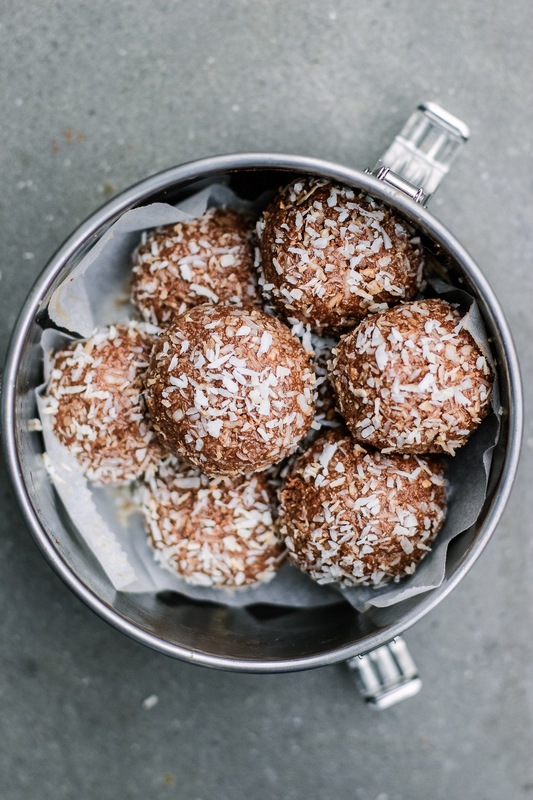 Add the toasted seeds, oats, desiccated coconut, pinch of sea salt and cacao powder to your food processor. Start a timer and keep blending on high for a full 3 minutes, until super fine. Drizzle in the tahini, melted coconut oil and maple syrup. Blend on high for a full 3 minutes until you have the consistency of a dry nut butter. Use your hands to roll the mixture into balls. Leave them as is or roll them in cacao powder or desiccated coconut etc to coat.